I was going to say you don't get awards for parenting, but a wobbly first smile or first cuddle are pretty amazing awards, just without the trophy. 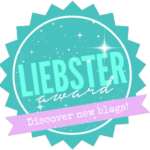 Still, I was happy to learn that my little blog, Run Out of Womb, has been nominated for a Liebster Award, by Lisa, the brilliant mum at Travel Loving Family. 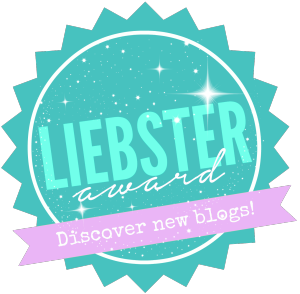 The Liebster awards are given out by other bloggers as a way to celebrate and discover new blogs. Part of the award rules involve posting... 11 interesting facts about yourself, answers to questions asked by the blogger who nominated you, and links to your nominated blogs, so here goes..
1. There is a very cool one-size-fits-all clothes shop where every single item fits me, even though I'm only a bit bigger than 5 ft. Unfortunately, that shop is in South Korea. 2. I hate goats cheese. 3. I've written six books but dream of writing a novel. 4. I'm a world-class hula hooper (according to my seven-year-old niece). 5. My two favourite TV programmes are University Challenge, and Keeping Up With The Kardashians. 7. I wanted to be a journalist since I was little, and had my first published article (in the Daily Telegraph) aged 16. 9. I'm unheathily obsessed with my iPhone. 10. I've tried zillions of posh chocolates (mostly thanks to work), but am still happiest with a slab of Cadbury's Dairy Milk. 11. I thought I finished doing these '17 factoids you didn't know about me' when I was 12. * How did you decide on the title of your blog? It was the best pun I could come up with after three hours' sleep. * What do you hope to achieve from blogging? * What do you enjoy the most about blogging? * City break, beach holiday or cruise? * Action movie or chick flick? * What is your favourite season? * What is your favourite social media platform? * If you ruled the world what would you do?! Redistribute the population more fairly. * What's your most popular blog post? * Cold press juice or fry-up? * What are your parenting regrets and successes?